Steve was born in Casper, WY. 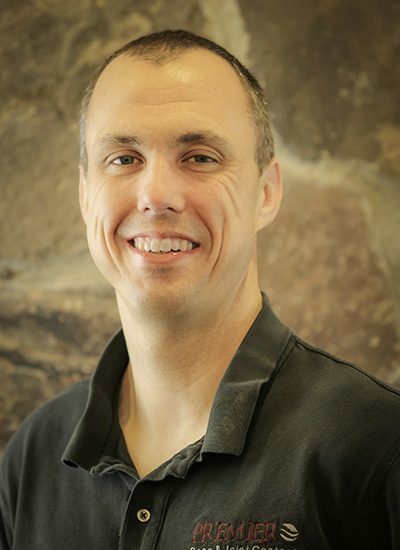 He received his doctoral degree in physical therapy from the University of North Dakota after completing his undergraduate studies at the University of Wyoming. He has been providing therapy services at PBJC since 2005. He enjoys working with athletes of all ages and all skill levels. He loves getting athletes back to performance levels and working with clients with sport injuries with an emphasis on knee and shoulder injuries. Beyond work, Steve enjoys spending time with his fabulous family, skiing, running, teaching and bike riding. He is also a Firefighter/EMT with Laramie County Fire District #1 in South Cheyenne.